Frank Sinatra on the Dean Martin Show. Don Knotts got his first major break on television in the soap opera Search for Tomorrow where he appeared from 1953 to 1955. He came to fame in 1956 on Steve Allen‘s variety show, as part of Allen’s repertory company, most notably in Allen’s mock “Man in the Street” interviews, always as an extremely nervous man. He remained with the Allen program through the 1959–1960 season. From October 20, 1955 through September 14, 1957, Don Knotts appeared in the Broadway play version of No Time for Sergeants, in which he played two roles, listed on the playbill as a Corporal Manual Dexterity and a Preacher. 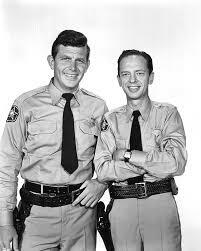 In 1958, Don Knotts appeared for the first time on film with Andy Griffith in the film version of No Time for Sergeants. In that film, Knotts reprises his Broadway role and plays a high-strung Air Force test administrator whose routine is disrupted by the hi-jinks of a provincial new recruit. Self-important, romantic, and nearly always wrong, Barney on the Andy Griffith Show dreamed of the day he could use the one bullet Andy had issued to him, though he did fire his gun on a few occasions. He always fired his pistol accidentally while still in his holster or in the ceiling of the court house, at which point he would sadly hand his pistol to Andy. This is why Barney kept his one very shiny bullet in his shirt pocket. 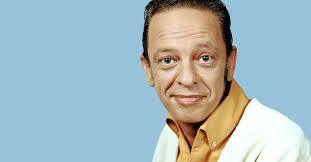 Don Knotts played the comic and pathetic sides of the character with equal aplomb and he received three Emmy Awards during the show’s first five seasons.